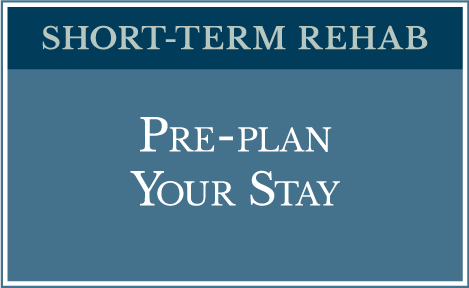 If you have scheduled an elective procedure such as a knee, hip, or spinal surgery, our unique Pre-planning Program at our physical rehabilitation center allows you to prepare and arrange for your stay in advance. Convenient and efficient, our program offers you peace of mind at a crucial time for you and your family. Following your procedure, Richfield’s physical rehabilitation center provides the skilled nursing services invaluable to your recovery. We understand what you want from short-term rehab – a return to your life, a return to the activities you enjoy. Our physical rehabilitation center brings years of experience, the latest technology, and a caring, knowledgeable team dedicated to helping you achieve your goals. Our outcome-driven services are designed to make you stronger, more active, while your private accommodation offers a comfortable, stress-free environment that facilitates relaxation and contentment. Our goal is to return you to where you most want to be – home. For your convenience, you can pre-register below. 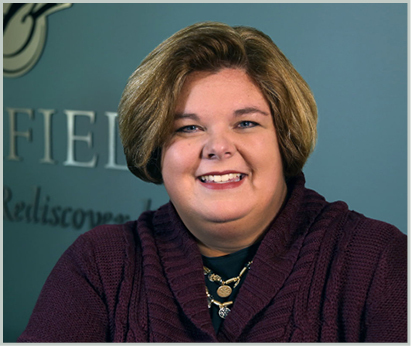 Or if you’d like more information about Richfield’s physical rehabilitation center, you can call Scotti Hartman, our Director of Community & Provider Relations, at the number below, or send her an email. We invite you to tour our facility and find out more about what we have to offer. 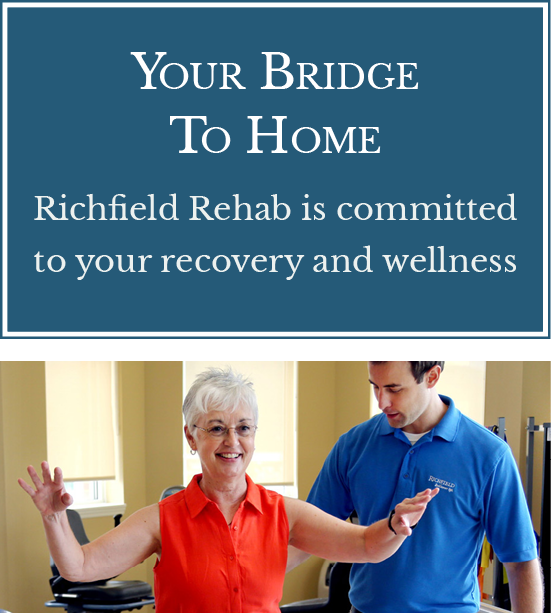 During this time you will have an opportunity to meet our therapists, nurses, and support team to gain a better understanding of what to expect during your stay at Richfield’s physical rehabilitation center. Private accommodations can be reserved, insurance coverage verified, and admission paperwork completed prior to admission. During hospitalization, we will consult with hospital clinicians to ensure that all information regarding the patient’s rehab needs is communicated clearly and effectively. Upon request, non-medical transport from the hospital directly to the patient’s private room at the physical rehabilitation center can also be provided.